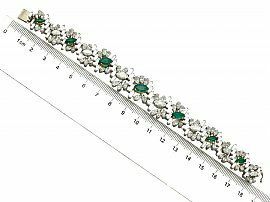 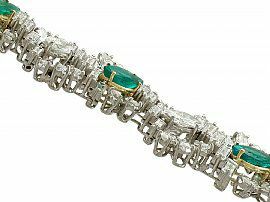 This stunning, fine and impressive emerald and diamond bracelet has been crafted in platinum with 18ct yellow and white gold components. The fully articulated, pierced decorated bracelet is ornamented with seven feature individually 18ct yellow gold four claw set graduated marquise cut emeralds. 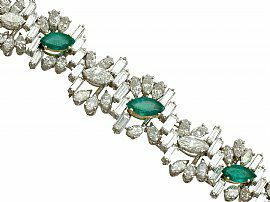 The emeralds are displayed alternately between seven individually platinum set graduated marquise cut diamonds, three three central larger stones being 0.51ct, 0.63ct and 0.68ct. 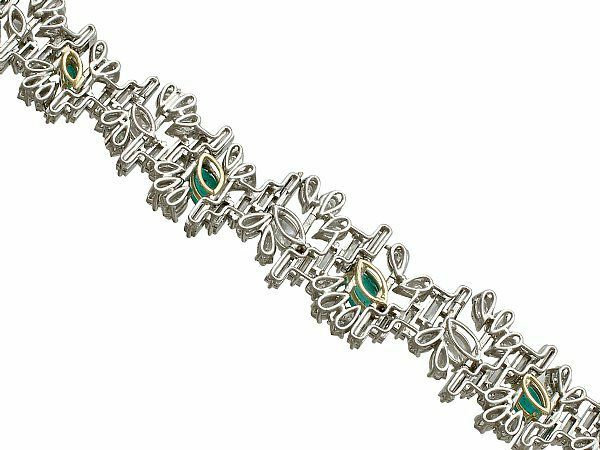 The bracelet secures with an integrated 18ct white gold push fit clasp and benefits from the additional security of a hinged safety clasp. 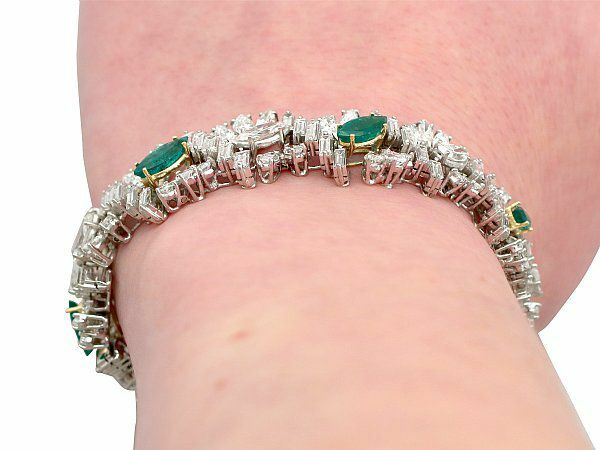 This stunning gemstone bracelet has been independently tested using state of the art technology (Niton XL2 Analyzer) and verified as platinum and 18ct white gold. 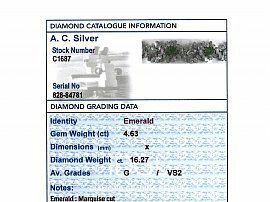 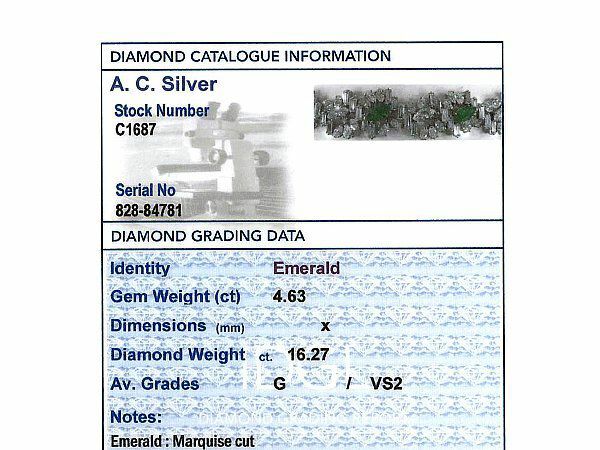 The bracelet is supplied with three independent diamond grading certificates. 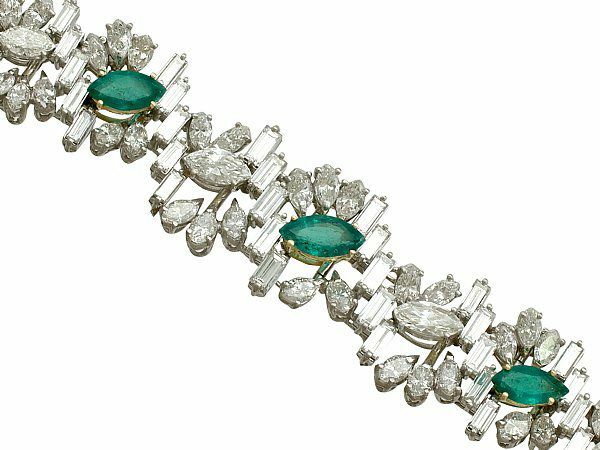 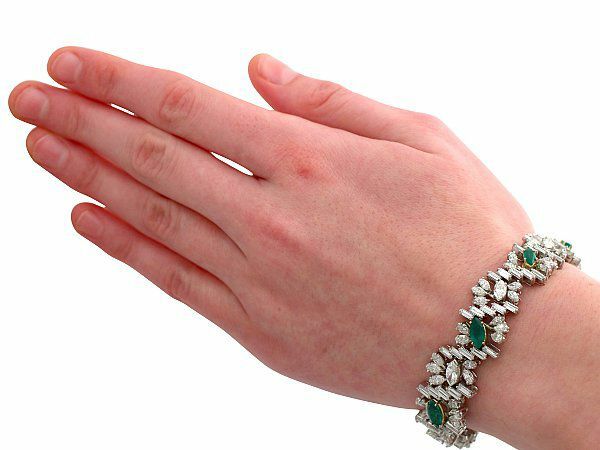 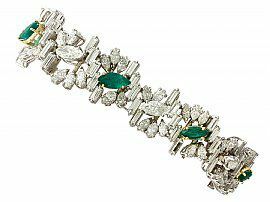 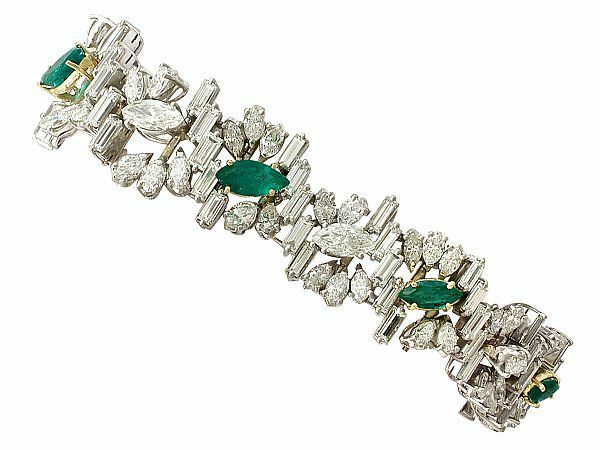 This stunning vintage bracelet is exceptional quality set with stunning emeralds and very well colour matched, very high colour graded diamonds displaying a fine white colour and brilliance. 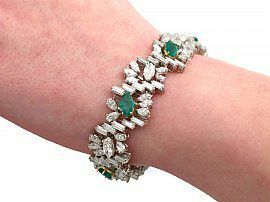 The bracelet is an exceptional gauge of platinum and gold and is in excellent condition.